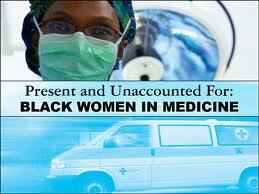 Lately, I’ve become aware of so many incredible documentaries being made, but when my friend sent me a link for “Present and Unaccounted For: Black Women in Medicine,” I knew I had to bring it to LizzLoves readers. “Present and Unaccounted For: Black Women in Medicine” not only touches on the historical journeys of some of the first black female doctors to break ground in our country, but also chronicles the present-day success stories of black women in medicine today. The film is the brainchild seasoned director Crystal Emery, who has been nurtured by notable filmmakers such as Bill Duke and Lloyd Richards. She also has several other films under her belt that uplift and educate communities. Crystal was inspired to make “Present and Unaccounted For…” after she met Doris Wethers, one of the first black women to attend Yale Medical School, and Beatrix Hamburg, the first woman to graduate from Yale Medical School. Unfortunately, as Crystal and her nonprofit production company, URU The Right To Be, started shooting footage, a significant backer pulled out of the project, bringing production to a halt. But, if you’re like me, you don’t want this reel to end up on a dusty shelf somewhere. Crystal has launched a Kickstarter campaign where people can make donations, large or small, to help this project reach completion. So, be part of showing our daughters, nieces, sisters and all young ladies who aspire to careers in medicine, that not only can they accomplish what they set their minds to, but that there is a sisterhood that has laid the ground for them! Click here to watch a piece of some of the inspiring footage and to find out how you can help this empowering story be told! It had been more than a decade since I saw Ntozake Shange‘s choreopoem (For Colored Girls Who Considered Suicide When The Rainbow is Enuf) performed at Bryn Mawr College, so it was like I was watching it for the first time. I’m glad that I didn’t delve into the criticism of Tyler Perry‘s adaptation until after I saw it. I heard a rumor here and there, but mostly relied on my sister network to send me to the theaters to form my own opinion. And I will allow you the same. So, before I tell you a little bit about what the the blogosphere is saying, I have to say that despite how heavy and heartbreaking For Colored Girls was, I have to give props to all of the actresses. Each woman’s performance was powerful, moving. I particularly liked Loretta Devine, Thandie Newton and Phylicia Rashad. 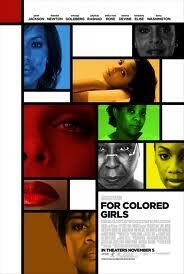 Most of all, I enjoyed seeing black women in the spotlight; there were no secondary roles here. The ensemble consisted of several generations, creating a diverse and accessible portrayal of women of color in today’s society. I have to agree: whether completely true to the original work, this production has the power to make a contribution by presenting some of the voices, faces and messages of women of color on the big screen. 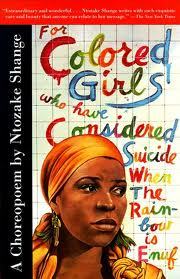 And, better yet, if it makes women everywhere go out and buy the groundbreaking work, For Colored Girls Who Considered Suicide When The Rainbow is Enuf, for the first time, then Ntozake Shange’s true message will never be lost, regardless of how spot-on the Hollywood adaptation was. 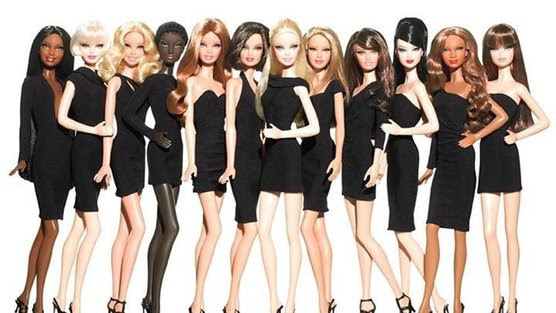 Most of all, I love that all sides of this debate are an effort to push the growth of representation of women of color to the next level, honoring their struggles and triumphs. his adaptation is fearless in a way we haven’t seen in black cinema for years.